Herne Hill, Saturday 30 June, 1894. Twenty-two competitors line up in the Summer heat for the Surrey Bicycle Club 100 Mile Invitation Race. Among them is a seventeen year old from Aberaman who stands at a little over five feet tall and tips the scales at just over seven stone. The pace is furious, 24 miles 475 yards being covered in the first hour. At 46 miles the young Welshman laps the field. At 50 miles he sets a new record of 2 hours, 4 minutes, and 42 seconds. After 100 miles he emerges the winner in a time of 4 hours, 19 minutes, and 39 seconds. He is 2 miles ahead of the second placed rider, H. B. Hoch of Silverdale CC and has beaten the record of his near neighbour, the Aberaman cyclist Arthur Linton, by exactly 10 minutes. James ‘Jimmy’ Michael has announced his arrival in the world of track racing in emphatic fashion. Born at 26 Woodland Terrace, Aberdare, Glamorgan on 9 November, 1877, to John Michael, butcher, and Elizabeth, née Tanner, James ‘Jimmy’ Michael was raised in Aberaman by his paternal grandmother, Ann Michael, following the death of his father. Ann was the owner of a butcher’s shop where Jimmy worked as a delivery boy running errands by bicycle. As a boy he began racing, achieving success from 1890 onwards in races throughout South Wales, most notably his victory in the 5 mile race at the Roath Ground in Cardiff in 1892. Already known in the South Wales cycling scene his success at the Surrey 100 made him a popular figure and brought him to the notice of a wider cycling fraternity. On Saturday 8 September, 1894, Jimmy entered the only event staged at the Cardiff Harlequins 44th Athletic Meeting. Lining up with Tom Linton, R. H. Pugh (both also Aberaman men), D, W, Roe, A. Angle, and J. Element, he secured another victory in the 100 miles championship. The race was limited to 5½ hrs and was paced by tandems. Tactical nous was required as riders could choose to stop to rest or take on refreshments, during which time they would lose ground on the other competitors. As Jimmy put it in an interview in 1895 “A man can ride fifteen miles an hour without feeling it, but if he stops for one minute only he as to do a twenty-mile pace for the next one to pull that back.” After 20 miles Jimmy was ½ mile in the lead. By 35 miles he had extended the lead to 2 miles. Tom Linton, perhaps his main rival on the day, was bedevilled with mechanical failures changing his bike and suffering a puncture. Jimmy crossed the line in first place in a time of 5 hours, 8 minutes and 45 seconds, and 5 miles ahead of second placed Linton. The physical effort of racing at that level at such an early age told on Jimmy. A week later at Herne Hill he rode “indifferently and retired killed by the pace at 5 miles” during the 50 Miles Amateur Championship. On Saturday 12 September at the 12 hours Anchor Shield Race he managed a total distance of 104 miles, again retiring from the race. The winner, A. E. Walters of Polytechnic CC recorded a distance of 258 miles and 120 yards. Despite these late season setbacks Jimmy had done more than enough by winning the Surrey 100 and the Welsh Championship to earn the attention of ‘Choppy’ Warburton, an ex-champion runner turned cycling coach who already had the Linton brothers, Arthur and Tom, in his stable. Turning professional Jimmy accompanied Warburton to Paris, the world centre of track cycling. In November he was reported as having recovered his lost form since turning professional when he participated in a 100 kilometre race. Unfortunately despite leading the field with Jules Dubois a touch of wheels brought him down, taking him out of the race. Accidents were, and still are, part and parcel of track racing and though no doubt disappointed the crash did not affect Jimmy’s riding. 1895 was to prove a very successful year for the young Welshman. 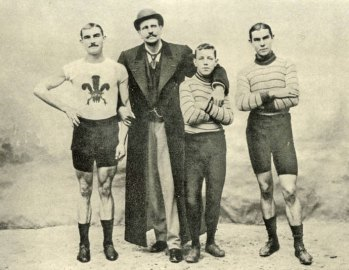 Third place in a 100km race at the Velodrome d’Hiver in March, 1895, demonstrated that Jimmy was in form. On 19 May Jimmy took the 100 miles world record at the Velodrome Buffalo having taken the lead at the start of the race and holding it throughout. His time of 4 hours, 2 minutes and 45 seconds was not to last long. A few weeks later, on 8 June, Jimmy broke his own record during a 6 hour race at the Velodrome Buffalo becoming the first person to go under 4 hours for 100 miles, and breaking all intermediate records from 50 to 100 miles in the process. To add further gloss to his time of 3 hours, 53 minutes and 5 seconds, his total distance of 239 kilometres during the 6 hour race beat Arthur Linton’s previous record by 20 kilometres. More victories and more records swiftly followed. By the end of July he had repeated his world record time, winning the 100 Mile Championship at Catford, while in France he had won two 6 hour races, four 100 kilometre races, a 100 mile race, a 20 kilometre race, and a 50 kilometre race. Following this he was selected to ride for England at the International Cycling Meeting held at Cologne in August where he won the motor-paced 100 Kilometre Open Professional World Championship in a time of 2 hours, 24 minutes and 58 seconds, three miles ahead of second placed Luyten from Antwerp. In September at a packed Velodrome Buffalo he rode a handicapped 50 kilometre race against the French national champion Lucien Lesna. The 1 kilometre handicap proved too much for Jimmy to win against the previous year’s winner of Bordeaux – Paris, Paris – Saint-Malo, and Paris – Bar-le-Duc, with Jimmy crossing the line two lengths behind Lesna having made up all bar a few metres of the kilometre. 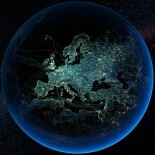 In the process he had broken Lesna’s hour record with a distance of 46 kilometres, 2 metres, and had set new records for 30, 40, and 50 kilometres, the last being 1 hour, 5 minutes, and 14 seconds. In all Jimmy lost just three races in 1895, the last of which in a much hyped face-off with Arthur Linton over 50 miles at the Cardiff Harlequins ground in Roath on 7 October. Up to that point Linton and Jimmy had never met in a race and it appears that there was some tension between them, with Linton being resentful of the fame and success of a protégé who had begun to eclipse him. ‘Choppy’ Warburton, was allegedly against the race, being of the opinion that both had fair claims to championship honours. This seems unlikely. As their manager, ‘Choppy’ could have prevented them from riding and was no doubt more pleased than not with the publicity the event generated for his riders. For Welsh sporting fans the opportunity to see Linton and Jimmy, both of whom were from Aberaman, race against each other in Cardiff was an opportunity not to be missed. A capacity crowd packed the ground to watch Linton and Jimmy set off at 4 o’clock, paced by a quadruplet bike. Linton’s pacemen helped him to lap Jimmy and by the twentieth mile he was half a mile ahead. Despite Jimmy’s best efforts the situation did not change and with four or five laps to go he gave up leaving Linton to finish alone in a time of 2 hours, 8 minutes and 31 seconds. The last months of 1895 saw concerted efforts by ‘Choppy’ Warburton to promote his champion rider. The Sporting Life of Tuesday 17 September published an open letter from ‘Choppy’ in which he offered to match Jimmy “the present champion of the world” to ride against anyone in a best of three challenge of “one mile , five miles, and ten miles, or a longer distance, if required, up to twelve hours”. 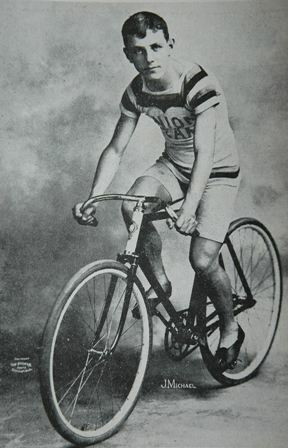 The American cyclist, John S. Johnson, was his preferred opponent. Johnson, equally keen to enhance his palmares and his bank account, issued his own challenge and in November 1985 ‘Choppy’ cabled America to offer £500 a-side for three races between Jimmy and Johnson to take place in either France or the States. By December a series of six races, two in America, two in Paris, and two in England, had been agreed on, the races to take place in early 1896. Nearer to home William Spears Simpson sought to promote his chain design, the Simpson Lever Chain, by offering ten-to-one odds that riders using his chain would beat those riding with standard chains. In October ‘Choppy’ wrote to Sporting Life, with an offer to match Jimmy against any rider Simpson wished to select in paced races of one hour, 50 miles, and 100 miles, with odds of £200 to £100 that Jimmy would win two out of the three events. By November Jimmy was riding on a Simpson chain at the Velodrome d’Hiver in a race in which he won well against Bonhours and Fournier. Presumably a deal had been struck between Warburton and Simpson. What is known is that the Simpson “Chain Races” of 1896 were the occasion for the darker side of professional cycling to come under the spotlight and a troubled period for Jimmy. “Cycling,” Evening Express, July 2, 1894, special ed., 3. Steven Thompson, ‘Michael, James (1875–1904)’, Oxford Dictionary of National Biography, Oxford University Press, May 2011. “A crack Welsh cyclist,” South Wales Daily Post, July 23, 1985, extra special ed., 4. “The “boy” Michael of Aberdare interviewed,” Merthyr Times and Dowlais Times and Aberdare Echo, December 24, 1895, 8. “Cycling championship,” Evening Express, September 10, 1984, 1st ed., 3. “T. Michael in Paris,” Evening Express, November 22, 1894, 4th ed., 3. “Cycling at Paris,” Aberdare Times, March 16, 1895, 4. “International cycling,” Evening Express, May 20, 1985, 4th ed., 2. “A crack Welsh cyclist,” South Wales Daily Post, July 23, 1895, special ed., 4. “International Cycling,” South Wales Daily Post, August 19, 1895, special ed., 4. “Michael in “Gay Paree”,” Evening Express, September 5, 1895, 1st ed., 3. “Cycling in France,” South Wales Daily Post, October 24, 1895, special ed., 2. “Professional cycling,” Aberdare Times, October 12, 1895, 4; “Cycling championship,” South Wales Daily Post, October 8, 1895, special ed., 4. “International cycling,” South Wales Daily Post, November 4, 1895, special ed., 4. “Cycling,” South Wales Daily Post, November 13, 1985, 4th ed., 3. “Cycling,” South Wales Daily Post, September 18, 1895, special ed., 2. “Another match for Michael,” Evening Express, November 7, 1895, 1st ed., 1. “Jimmy Michael his man,” Evening Express, November 1, 1985, 5th ed., 2. Notice of edit: In the article as originally posted I linked a letter from Jimmy James to Sporting Life in which he challenged the Lintons to a race with the race between Arthur Linton and Jimmy at Roath on 7 October 1895. I have since discovered that Jimmy wrote the letter in January of 1896. I have amended the text of the article you see today accordingly by removing the reference to the letter. This entry was posted on October 9, 2014 by aaroncripps in Britain, Cycling, France, History, Nineteenth Century, People, Wales, Welsh and tagged Cycling, Cyclist, James Michael, Jimmy Michael, Little Jimmy, The Midget Cyclist, Track Cycling, Wales, Welsh History, World Champion.